Professor at the Department of Film Studies, University of Zurich, since February 2007. In May 2015 Barbara Flueckiger received the very prestigious Advanced Grant from the European Research Council ERC for her project FilmColors. An Interdisciplinary Approach, see press release of the University of Zurich and summary on the University of Zurich's research database. From May 2013 to October 2015 principal investigator and project manager research project DIASTOR Bridging the Gap Between Analog Film History and Digital Technology. Main applicant and project leader of an interdisciplinary research project for the development of digitization work-flows and long-term storage according to principles of restoration ethics. See summary and further information on the University of Zurich's research database and results on the DIASTOR website. May 2012 to October 2014 research project "Analog vs. Digital. The Emotional Impact of Film Recording Processes on the Audience." A cooperation with the Department Performing Arts and Film, University of Art and Design in Zurich and the Department of Psychology, University of Bern. The project is funded by a grant from the Swiss National Science Foundation. Abstract and further information on the university's research database. Fall term 2011 and summer 2012: research fellow at Harvard University, USA, Department of Visual and Environmental Studies. Basic research on historical film colors. Since June 2011 research project "Film History Re-Mastered." This project investigates the changing perception of film history in the digital age and is funded by a grant from the Swiss National Science Foundation. Abstract and further information on the university's research database. 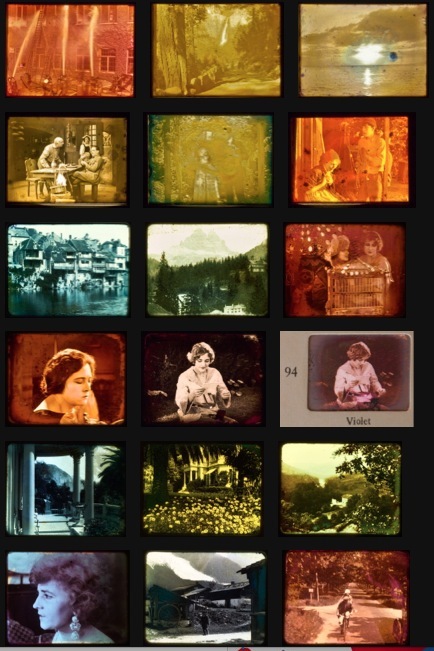 2008 to 2011 research project AFRESA on the digitization of archival film, in collaboration with industrial partners and the University of Basel's Imaging and Media Lab, funded by the Swiss Innovation Promotion Agency CTI. Post-PhD thesis (habilitation) accepted at the Free University Berlin in June 2007. 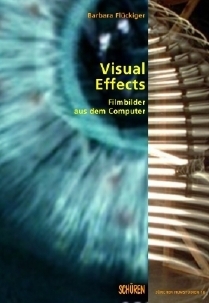 2004 to 2006 Research project on aesthetic and narrative aspects of computer generated visual effects in movies, funded by the Swiss National Science Foundation. Visiting lecturer at the Filmakademie Baden-Wuerttemberg in Ludwigsburg (Germany), at the University St. Gallen, at the University of Zurich (Switzerland), at the Hochschule für Gestaltung und Kunst Zurich (Switzerland) and other academic institutions in both Germany and Switzerland. 2002 to 2004 Assistant Professor at the Institute of Media Studies, University of Basle in Switzerland. 2000 to 2002 Research project Digital Cinema at the University of Art and Design Zurich in collaboration with the industrial partners Sony Overseas SA and Swiss Effects and academic institutions such as the University of Basel and the Swiss Federal Institute of Technology Lausanne. Development and application of a scientific methodology for basic research in the interaction of digital innovation and aesthetics. Communication and fund raising. Filmmusik Biennale 2002 in collaboration with the Kunst- und Ausstellungshalle der Bundesrepublik Deutschland in Bonn (Germany) and other presentations at international conferences on sound design. Publications in Swiss and German journals and periodicals on film, literature and theatre. Author of Sound Design. Die virtuelle Klangwelt des Films. Marburg: Schueren. 2001. 520 pages, ISBN 3-89472-506-0. This publication is widely redarded as the standard text book on this topic in German language. Second edition 2002. Third edition 2006. Fourth edition 2010. Fifth edition 2012. 1997 to 1999 research project on sound design in American mainstream films, funded by the Swiss National Science Foundation. 1999 doctoral exam. 2001 PhD. 1995 to 1997 consulting scholar with the Swiss Foundation FOCAL. Coneption and organization of seminars for film professionals. Design of a bibliographical data base for books on film and multimedia technology. 1992 to 1995 Studies at the University of Zurich (Switzerland) and the Freie Universität Berlin (Germany): German literature, film theory, philosophy and media studies. Main topics: emotions in the media, public relation theory, rhetoric in politics, theory of innovation and distribution. M. A. 1995. From 1980 to 1992 location sound engineer and sound designer with her own technical equipment. Creation of more than 30 soundtracks for international feature films. Collaboration with many renowned directors such as Silvio Soldini (Italy), Daniel Schmid (Switzerland), Markus Imhoof (Switzerland) and Lea Pool (Canada). Filmography in German only. Interests: Travelling, literature, music, natural science, statistics, and art. Daughter Silvana Konermann, * 1988, postdoc in neuroscience at the Salk Institute in La Jolla, CA; PhD 2015 in Brain and Cognitive Sciences at the Massachusetts Institute of Technology, Cambridge MA.